We are engaged in manufacturing and exporting a high quality range of Table Top Bread Slicer, which are used in different places. These are heavy duty products and are available for bread slicing. Our products are manufactured in compliance with the industrial standards and we offer these products in varied sizes, shapes, designs as well as capacities. Further, our clients can avail these products at industry leading prices and with easy operations. 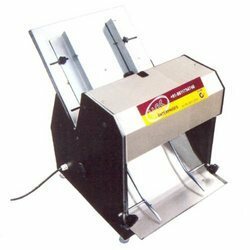 Looking for Table Top Bread Slicer ?